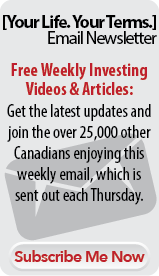 Join the thousands of Canadian real estate investors who receive regular Free, Real Estate tips and advice from Tom & Nick Karadza. Register below for your Free "Renegade Real Estate" Updates and we'll also email you a Free digital copy of our book, Income For Life for Canadians, instantly (the book is sold on Amazon.com for $24.95). We Respect Your Privacy and We Will Never Share Your Information. Sign up for the FREE Your Life. Your Terms. weekly newsletter by clicking right here. Copyright Karadza Publishing Inc. All rights reserved. This book has been downloaded over 22,597 times and has helped hundreds of investors kick-start their investing with simple and straight forward strategies that you can implement right here in Canada.